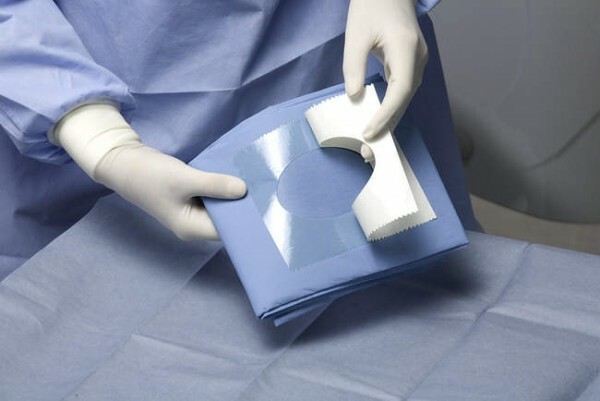 The off-centre adhesive opening creates an effective sterile barrier and allows the dimensions of the drape to be optimized. Ideal for dental implant and osteodistraction operations and autologous bone removal from extraoral donor sites. The protective film of the adhesive strip has pre-cut areas to make it easier to apply.